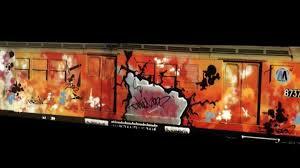 The Bronx, 1973: A new subculture is emerging and spreading all over New York: Graffiti. In these first episodes we meet the early pioneers such as LEE, FUTURA 2000, Fab 5 Freddy and SKEME and how they were influenced by the movie / documentary ‘Wild Style’. The Rise Of Graffiti Writing is a 10 part documentary series laying out the early history of graffiti art, from its beginnings in 1970s New York to the European cities of Paris, London, Amsterdam and Munich in the 1980s. Check out the entire series below!